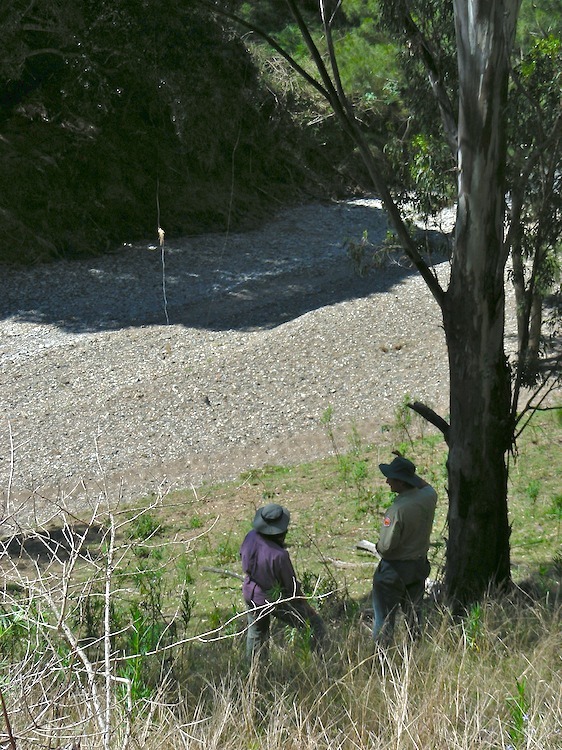 Kerry and National Parks Ranger Don discuss the old wire (top left quadrant) which we, at first, thought was the remains of a flood fence (a fence that lifts when the creek’s in flood). It turns out that this wire is part of the remains of the old telephone line from Georges Creek (on the Kempsey Road), to the property at Kunderang. This fact was confirmed by some local residents who can remember having to ride the line on horseback to find faults during the time they worked at Kunderang. The dry-looking creek bed, over which the line runs, is Top Creek.